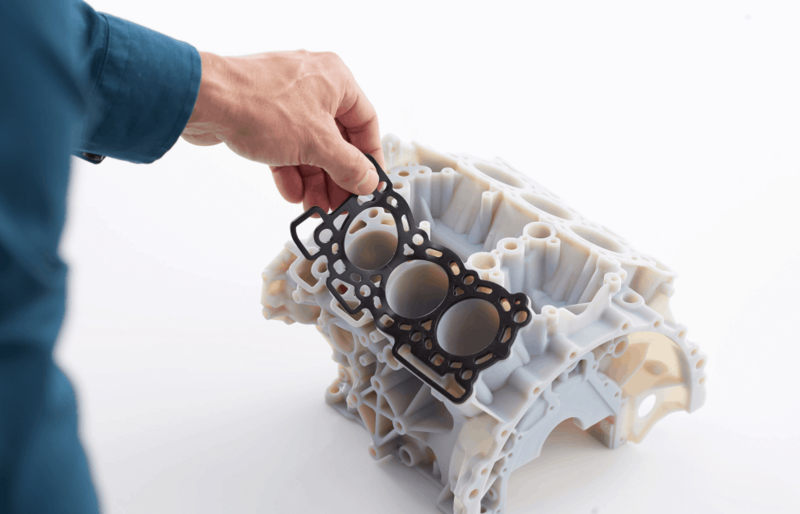 From fused deposition modelling (FDM) to selective laser sintering (SLS) and digital light processing (DLP), there are various types of 3D-printing technologies on the market. However, an ever-growing number are opting to invest in PolyJet as their additive manufacturing weapon of choice – and for very good reason. PolyJet is similar to the stereolithography (SLA) method of 3D printing, in that both use photopolymers and utilise UV energy to cure plastics. However, when it comes to intricacy and accuracy, there is one clear choice. Within a five-inch build cube, PolyJet is the fastest technology on the market. It is capable of depositing material in layers as fine as 16 microns to deliver models with incredibly complex geometries, achieving exceptional detail and surface smoothness for high-accuracy moulds, jigs, fixtures and other manufacturing tools. From rigid and opaque to transparent and flexible, or even a combination of these in the same build, PolyJet has your needs covered. Whether it’s the durability and heat resistance of Digital ABS for aerospace and automotive, the ant-tear nature of Agilus30 for rubber-like parts in motor racing, the biocompatibility of MED610 for medical and dental or the toughness of VeroFlex for eyewear, it’s now possible to efficiently produce prototypes that are as close to the end product as it’s possible to be. That has huge advantages for designers and manufacturers, who have been able to slash lead times and bring products to the market much quicker than ever before. PolyJet 3D printing offers true multi-colour capability. The flagship Stratasys J750 machine offers more than 360,000 colour combinations, meaning prototypes not only feel and operate like finished products but look exactly like them too, without the need for painting or assembly. Top-class aesthetics and unmatched product realism, with texture mapping and colour gradients, all point to a new era of manufacturing. Many methods of 3D printing require support material during production to ensure accuracy, anchor parts to the build platform and aid the creation of delicate, overhanging features. The beauty of PolyJet is that its support material is easily removable by hand – a major benefit over SLA, for example, where such material must be sanded away during post-processing. To allow the draining of excess resin, SLA parts are not built fully cured and therefore also require additional curing in a UV oven. With PolyJet, parts are fully cured during the build and offer an incredibly smooth finish straight off the machine. The whole Stratasys range of 3D printers is supported by intuitive and easy to use GrabCAD software, which reads and understands CAD files natively and allows for simplified preparing, scheduling, monitoring and reporting of print jobs. GrabCAD allows you to print directly from your favourite professional CAD formats, saving hours of time usually spent converting and fixing STL files. You can also see what you’re making by working with detailed views of a model, tray and slice preview so necessary adjustments can be made before going to print. GrabCAD offers an efficient workflow that streamlines job management in shared office and model shop environments. It maximises print scheduling based on machine availability, estimated job duration and other key considerations, and as it’s cloud-connected it can be accessed directly from any browser on any device. That means it’s possible to access and print to any supported printer in a company, even if it’s in a different geographic location.